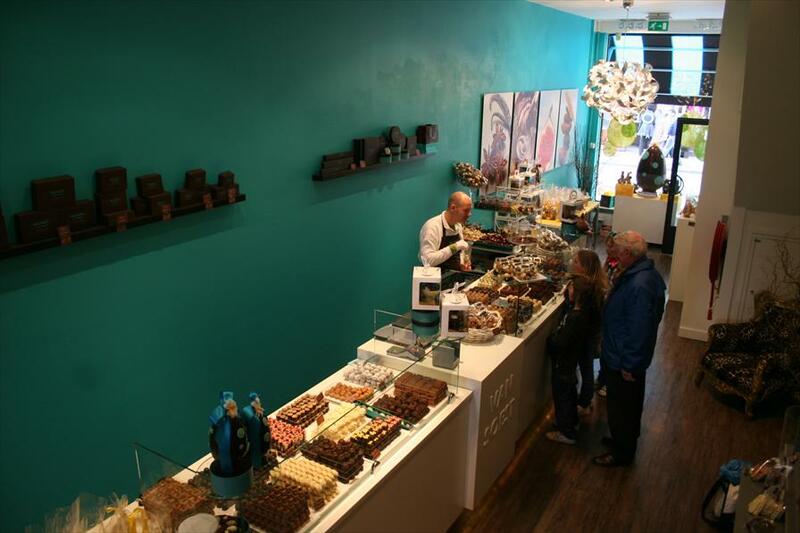 Van Soest Amsterdam Chocolatier - Delicacies & Drinks in Amsterdam. 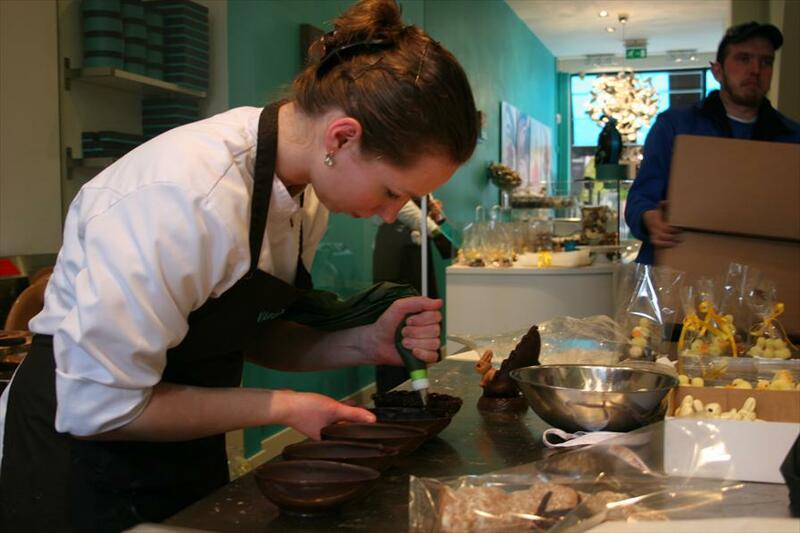 Chocolaterie Van Soest is the place to be for unique types of chocolate and bonbons. Dark, milk or white, with or without filling: the choice is yours. A small paradise for chocoholics! Every item is hand-crafted in the store, after a secret recipe, using only the finest and freshest ingredients. During the Spring and the Summer, they also serve 12 different kinds of Italian ice-cream, in horns and cups, in all shapes and sizes. The chocolate and bonbons are made only from the freshest and finest ingredients. The collection also offers a great number of gift opportunities for the holidays, like Easter, Sinterklaas and Christmas. So, this is also the place for original easter eggs, logo chocolate, chocolate letters and Christmas gifts, this is the place to be as well. Van Soest will make your mouth water with its delicious smell of chocolate. The atmosphere is warm and contemporary. The high ceilings and spacious rooms give the store an added sense of allure. The open kitchen allows you to see how the bonbons are hand-crafted. The Utrechtsestraat is a welcoming shopping street, with a fun combination of food and non-food and a large number of original specialised stores. Only homemade chocolate and bonbons.